Breeding Shih Tzu dogs is both science and art that includes an enthusiasm for the breed, a little bit of luck, and a lot of hard work. Some breeders would also add that breeding Shih Tzu dogs is not for the faint of heart but is done as a labor of love. A Shih Tzu entering a conformation show may be one of the most coiffured dogs in caninedom, but ask any Shih Tzu owner and the temperament wins over looks, hands down. They should be confident, friendly, outgoing, trusting and most importantly affectionate. The well-bred Shih Tzu is not shy or aggressive, but alert and lively—a true loyal companion. Newcomers who are interested in breeding Shih Tzus should familiarize themselves with their breed’s standard, the health concerns of the breed and find a mentor if possible. These dogs are extremely people-oriented who thrive living and being with people on a daily basis. Shih Tzu dogs do not do well in kennels. Most are happiest when they live in the breeders’ homes, whelp, and rear their pups under the watchful eyes of the breeder. Buyers want to see how puppies are raised and will also want to meet the parents, especially the mother. The average size of a litter of puppies is between 1 and 6 whelps. Singletons are relatively rare except in older females. More than six in a litter is also considered rare. Females are most fertile between 1½ and 6 years of life. 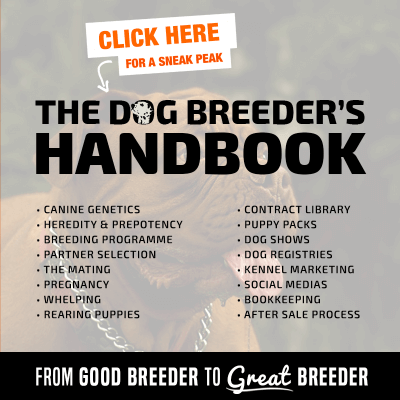 They should not be bred during the first heat cycle, and some breeders even suggest they wait until their third cycle. Infant mortality is rare, but when it happens, it can often be traced back to poor environmental conditions. The Shih Tzu breed is truly ancient, going back for a millennium or more. Scientists have determined that the breed is one that possesses some ancient DNA, making them among others very close to their wolf precursors. The breed is interwoven into the history of China, and though breeding records were rarely kept in antiquity, there is evidence of an emerging breed in the artwork of the Tang Dynasty (618-907). Later, Marco Polo makes mention that the Emperor Kublai Kahn had small dogs similar to the Shih Tzu. 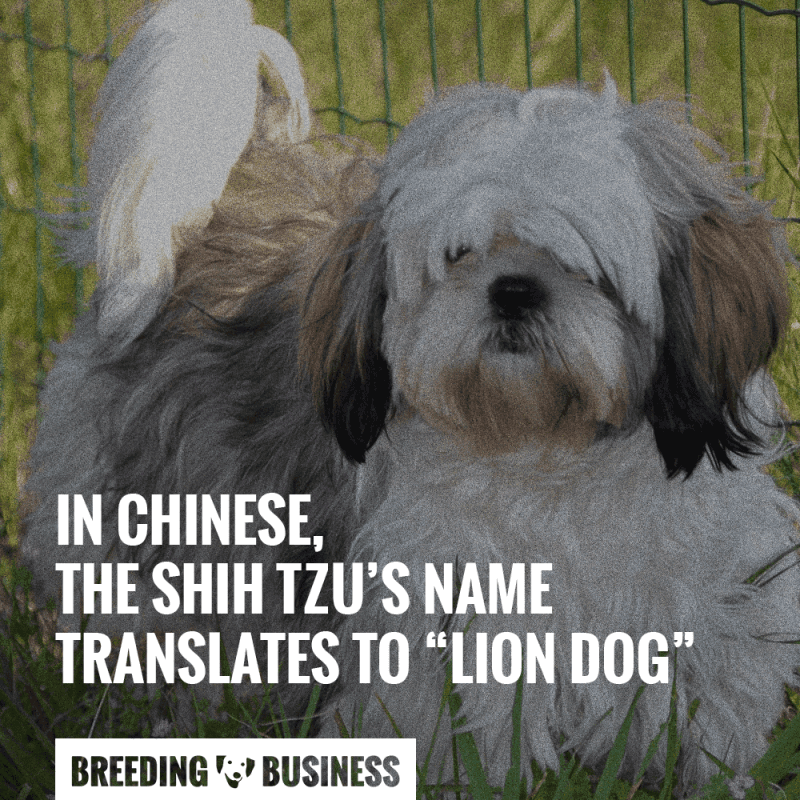 The Shih Tzu’s name means “Lion Dog” in Chinese. The dog has been bred for its confidence and mental strength. There has always been much speculation as to the breeds that contributed to the modern-day Shih Tzu. In all likelihood, the Lhasa Apso, Pekingese and Tibetan Spaniel added their genes to the pool. The popularity of these small dogs soared when the Empress of China Tzu Hsi became enamored after receiving her first little dogs from the 13th Dalai Lama in 1908. After her death, some of her dogs were obtained by wealthy individuals who later formed a kennel club in 1923. By the 1930s, some were being imported to the UK. When the Communists invaded Beijing in 1949, all dog breeding came to a halt and the Cultural Revolution led to the extinction of many dog breeds in China. Today, every Shih Tzu in existence can trace their origins to just 7 females and 7 males, plus the addition of one Pekingese through the efforts of devoted fanciers in England, Ireland, Norway and the U.S. This is considered to be a rather small gene pool upon which to establish a breed. One of the most amazing things about this breed is the number of colors that show up in puppies. Even more surprising is the number of color changes that a puppy may undergo before they reach maturity. Puppy buyers often insist on specific colors, so one of the first lessons that new Shih Tzu breeders learn is that of color genetics. The genetics of color is complicated and goes well beyond the simple Mendalin genetics that most breeders remember from biology class. It is worth understanding, though, because questions will arise. The good news about color in this breed is that all colors are acceptable and no color has been associated with other problems such as deafness. 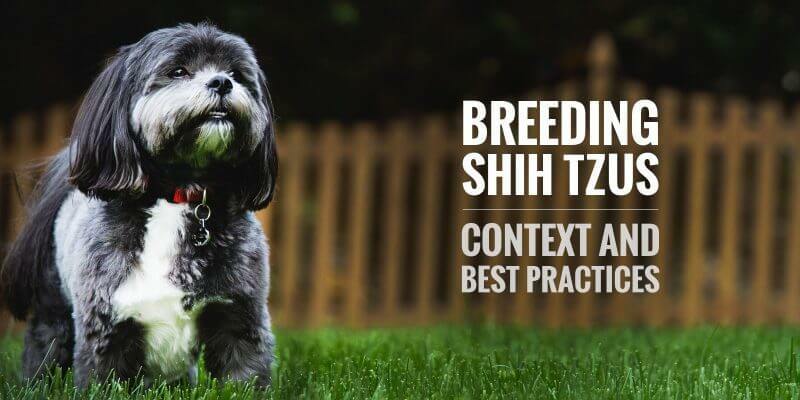 No dog breed is free of all genetic health problems, and the Shih Tzu is no exception. Eye problems are among the most common issues facing breeders and pet owners alike. Their prominent eyes are prone to inherited disorders as well as prime candidates for injury. and Keratoconjunctivitis Sicca — dry eye syndrome. All Shih Tzu breeding stock should be screened yearly by board certified Veterinary Ophthalmologists, and breeding decisions should be based on the results. Beyond eyes, many Shih Tzu dogs suffer from breathing problems because they are considered a brachycephalic breed. Over time, flat faces have become even more pronounced, making breathing more difficult, contributing to snoring and causing respiratory problems that limited the amount of exercise that some of these dogs can tolerate. The Brachycephalic airway syndrome is not unique to Shih Tzu dogs but does take its toll. It is not a disease per se but rather a combination of anatomical abnormalities that reduce optimal air flow. The best way to assure healthy puppies is to pick healthy breeding dogs that have decent size nares (nasal openings), slightly longer noses, and those that are free of breathing problems. The other main problems that have been identified in the breed include kidney problems such as Renal Dysplasia and liver problems such as Portalsystemic Shunt. Both of these are life threatening and devastating to dog owners because there is no cure. Prevention is the only option at the time of this writing. 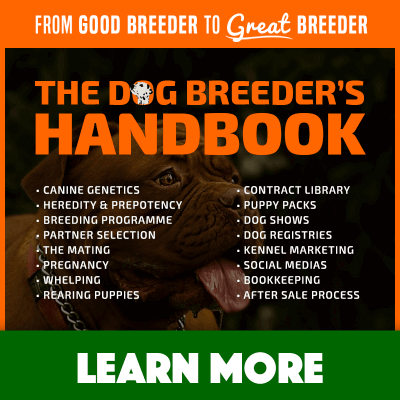 Preventing the disease falls into the hands of breeders as they make educated decisions as to which dogs to breed. Other problems should also be added to the list including allergies, bleeding disorders such as VonWillebrand’s Disease and endocrine problems. There are checks for endocrine problems and VonWilebrand’s Disease but as with all genetic testing, there are no guarantees. Orthopedic problems such as Hip Dysplasia and Patellar Luxation have also been reported. Breeders can reduce the incidence of both Hip Dysplasia and Patellar Luxation by the help of their veterinarian. Dames and sires’ hips can be X-rayed and knees can be palpated. Breeding decisions can then be made with all health results. Because of the popularity of this breed, many dogs have been produced with less than perfect health. Allergies and ear problems are ubiquitous, and even umbilical hernias, and severe dental problems are not uncommon. There is also a growing trend towards creating smaller and smaller dogs. This dwarfing down to produce tiny dogs well below the standards of the main kennel clubs of the world has led to breeders coining new names for these mini versions of the standard Shih Tzu such as “teacup, miniature, and Imperials” to command higher prices. With all due respect to breeders, though, much of this trend has been encouraged and demanded by consumers wanting smaller and smaller dogs. Whether these small versions of the standard Shih Tzu become a new breed, as some would like, or remain as part of the Shih Tzu breed, remain to be seen. European Shih Tzu dogs tend to be slightly larger than their American counterparts, but even in Europe, the demand for smaller versions of the breed is growing and thriving as a result of American imports. In the U.S., the popularity of the breed has been declining slightly in recent years, according to AKC breed statistics, but the breed is still the first choice among those that love the looks and personality of these little dogs. This may have nothing to do with fewer dogs and more to do with pet owners who do not register their pure-bred dogs. With so many who love the breed, the future of breeding Shih tzus, barring any unforeseen disasters, remains excellent. Janice Jones is a long-time breeder, dog lover, and writer. She is the editor, publisher, and main contributor to 3 different dog blogs including Miracle Shih Tzu. She lives in the U.S. with her 15 Shih Tzu dogs and sells puppies from her Ohio home. Very informative but please put more faith in the American Shih Tzu Club veteran breeders (and I am one), repro vets, etc.